What’s better than a taco truck on every corner? A craft brewery, of course. Especially a craft brewery that – among its broad stable of beer styles – tries its hand at a Mexican-style lager. So with the weather getting warmer (not quite Puerto Vallarta hot, but it still feels nice) and the sun getting higher in the sky, our brewers cranked up the Ritchie Valens and brewed up a south-of-the-border inspired light and chuggable lager. You might be thinking that Mexican lager is the kind of beer that only corporate macro brewers churn out, after all Corona, Pacifico, Modelo, and Dos Equis are all good examples of the style. But Stateside indy brewers have been tipping their sombreros to this fizzy and thirst-quenching beer for some time. (Think of Oskar Blues’ Beerito, or Ska’s Mexican Logger.) Your spouse making you mow the lawn? This beer will hit the spot. Slaving over a BBQ grill at the company retreat? Ditto. Spicy food on the menu? A long hike in the hills? Recouping after an epic salmon-fishing battle? Long afternoon on the links? These are all prime scenarios for taking a load off, cracking open a snappy Mexican lager, and cooling down. 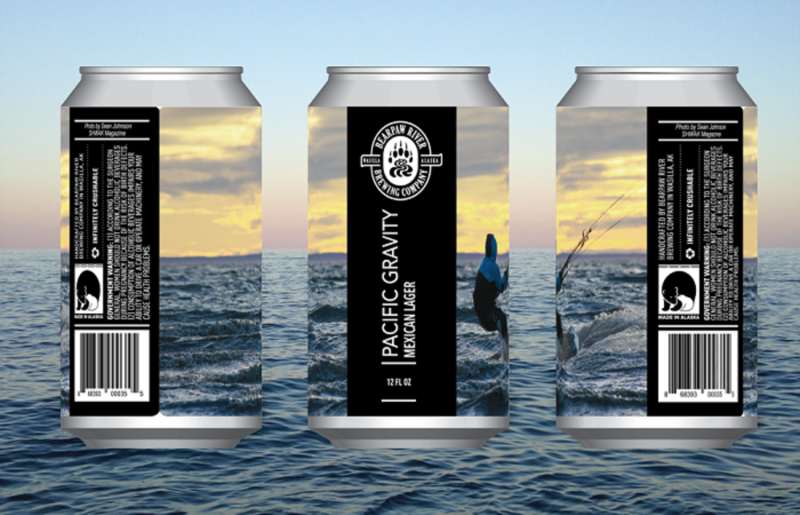 Our Pacific Gravity Mexican Lager checks in at a flyweight ABV of 4.8%, with a 1.046 Original Gravity finishing at a crisp and clean 1.009, with 15 IBUs. It will be available in the taproom on tap and in 12oz six-packs, and at La Bodega and Brown Jug locations in the valley, Anchorage, and Fairbanks. You’ll be hard-pressed to find another example of this style from a craft brewery in the State, so have a look out for sixers at these locations. They’re bound to impress your friends, even those who don’t drink craft beer. To celebrate the release in the taproom we have partnered with Chepos Mexican Restaurant & Cantina, an iconic Wasilla institution and a fine locale for some of the tastiest Mexican food in all the land. We’re providing the beer and they are bringing their renowned chips and salsa. $1 for a basket, and we hope to have enough for about the first 100 people who show up. In other words, don’t leave it to the last minute. And have we mentioned the cans? Pacific Gravity showcases the photography of our new amigo Sean Johnson, founder of ‘SHWAK Magazine. We like to think the can suggests that not only do we share a coastline with our much more southernly neighbors, but we also share a similar taste for both aquatic recreation and liquid relaxation.